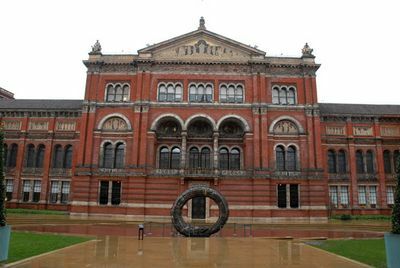 The victoria and albert museum is the greatest museum of art and design, a world treasure house with collections of fabulous scope and diversity. Queen Victoria laid the foundation stone of the Museum on 17th May 1899.The Museum is continually updating its displays, one of the most recent improvements being the opening of the new Jameel Islamic Art Gallery. Find more Victoria and Albert Museum images in the gallery of Photorena.